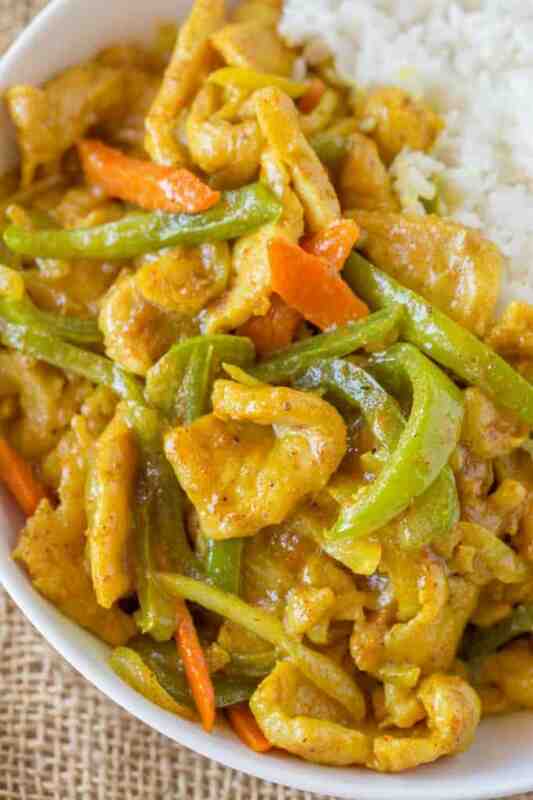 Easy Curry Chicken just like your favorite Chinese takeout restaurant with curry sauce, bell peppers, carrots and onions. Start to finish in less than 30 minutes, faster than delivery! We have an argument in our house when it comes to takeout. I’m firmly in the Mongolian Beef camp while my husband is all about the Chicken Curry. Want to know the problem with this? My delicious Mongolian Beef ends up smelling like curry! 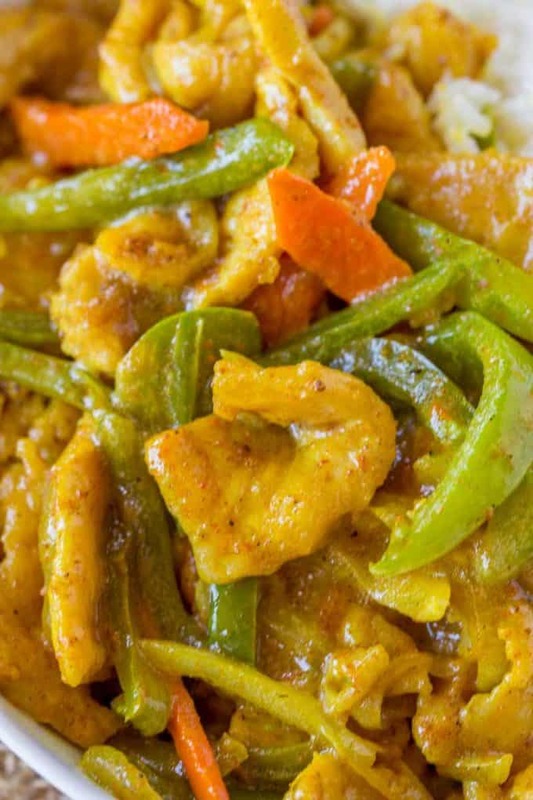 We’ve come to the conclusion we just can’t order out for takeout chicken curry anymore. So when there’s a craving in the house I make this super simple recipe. I do use a standard curry powder but if you want a more authentic homemade curry you can certainly make your own curry powder. What is the difference between Indian, Chinese and Japanese Curry? Indian curries tend to be creamier, with a coconut milk or tomato base. There are a wide variety of Indian curries, and they are each made with specific spices added at different times during cooking. Chinese curry and Japanese curry are more similar to a beef stew, and are most often a more mild curry with sweeter flavors. Chinese and Japanese curries tend to have less variety, often using the same or similar spice blends. Cut the chicken and vegetables into thin pieces. Cook the oil and curry powder to bring out the flavors. Brown the chicken in the pan with the vegetables. Don’t overcook the chicken or vegetables, they should be slightly crisp still. Temper with a bit of sugar and add in sesame oil before serving. Looking for more Asian food takeout? Wok: The best way to cook quickly and over high heat for Asian dishes, this wok is the perfect stir fry pan. Cut the chicken into thin flat slices (think the size of a matchbook). 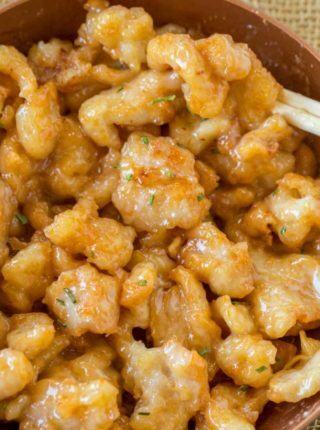 Combine the soy sauce and cornstarch and add in the chicken and set aside. Add the canola oil to a heavy skillet or wok and heat on medium-high heat. Add the curry powder and stir with spatula until you can just smell it, for about five seconds or so. Add in the chicken with marinade. Cook for a couple of minutes then add in the carrots, bell pepper and onions. Cook for an additional 2-3 minutes until the vegetables are just barely soft and the chicken is just cooked through. Add in the sesame oil and sugar and mix well, cooking an additional 30 seconds. Delicious and so fast to prep and cook! My wife is going to make this again next week. making this again for sure. thank you so much. the curry powder is spot on so nice. Thanks for the 5 stars Karin! I used peanut oil. I also made a roux with the corn starch and coconut cream to give it a nice creamy base. I would suggest cutting down on the cayenne pepper unless you like it that HOT. Top it off with Cilantro for a 5* recipe! Ground 🙂 You can always adjust to your liking. I have made this recipe once before and it was delicious. My husband loved it alot, so that’s what I’m making tonight. It’s a little spicy for my kids kids though. So sorry about the confusion. 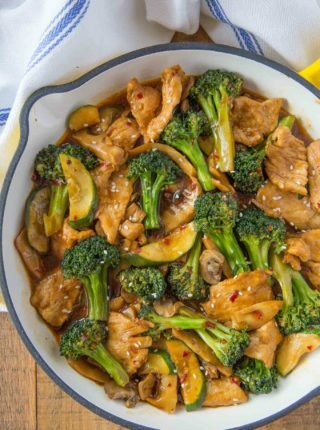 You’ll want to mix the soy sauce with the cornstarch and then add the chicken. I updated the recipe card to be more clear. Thanks for letting me know! 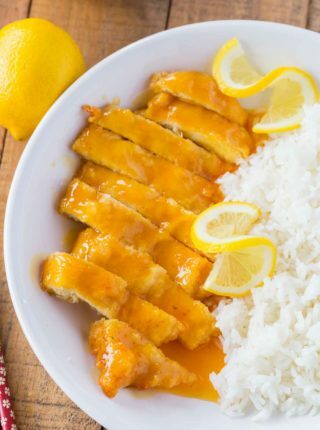 The sauce for this looks amazing, and seems really simple to make! What a great dish, and so nice that it doesn’t take too much time! Great for busy nights, for sure! 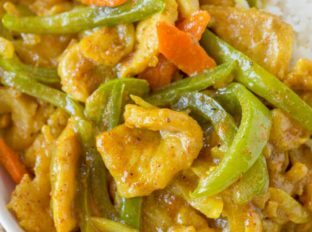 We love curry chicken! I know we’re going to love your recipe for it! Making it soon! This is amazing! I love the flavors of curry chicken. This curry is making my mouth water. It’s so good! I hope you enjoy it! I love making chicken curry! I am going to have to try this one asap! 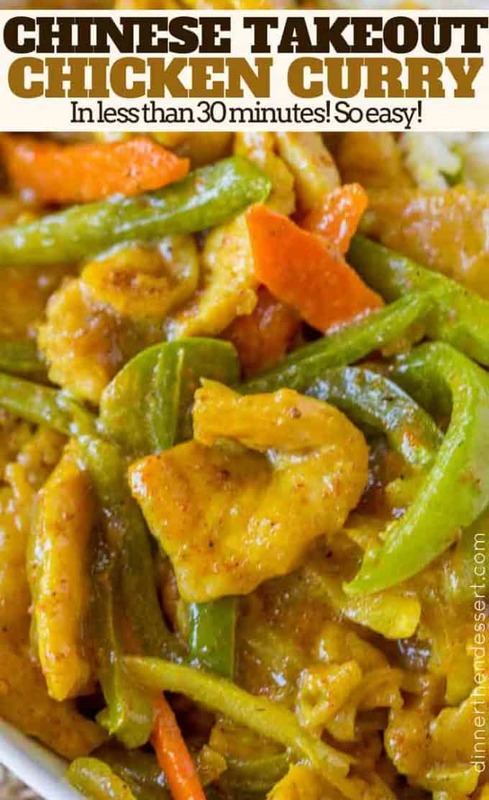 My family loves curry chicken, so I can’t wait to make this! 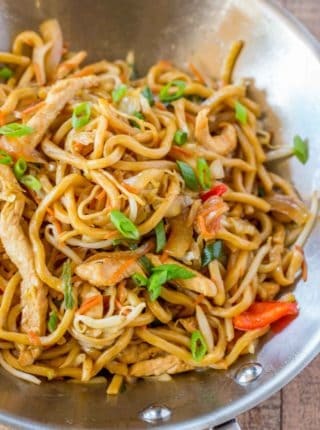 I always try to prepare different recipes with chicken.I do love Chinese dishes more, and mostly i go for Chinese recipes.This seems like easier one( i always go for easier ones) so definitely gonna try this.instead of canola oil, can i use another oil? You can use vegetable oil or really any kind of cooking oil that you have on hand. I hope you enjoy it! Can you believe I’ve never had curry? This looks like a great one to try!